We’ve often mocked Russian vehicles here at The Lego Car Blog, and rightly so – they’re largely crap. However modern Ladas are essentially just Renaults and Dacias, making them now perfectly respectable, if thoroughly boring. That said we probably wouldn’t trade a modern Renault with a Lada badge on the front for one of their old catastrophes, apart that is, for one car. Launched in 1977 the VAZ (now Lada) Niva was a superbly capable off-roader, more sophisticated than a comparable Land Rover of the era, likely more reliable, and a fair bit cheaper too. The Niva is still being built today too, and is infinitely better than the monstrosities that the G-Wagon and Range Rover have become. This most excellent Technic version of Russia’s iconic off-roader comes from TLCB favourite Horcik Designs, who has recreated it in Technic form, both with and without Power Functions components. It’s the remote control version we have pictured above, complete with suspension, all-wheel-drive via an XL Motor, Servo steering, a Li-Po battery, and third-party tyres. There’s more to see of Horcik’s Technic Niva at both Flickr and Bricksafe – take a look via the links. It’s a gloriously sunny spring day here at TLCB Towers, and whilst it’s nowhere near hay season yet we’re looking forward thanks to Eric Trax and this spectacular New Holland TM140 and Claas Quadrant 2200 baler combo. Eric’s superb New Holland tractor not only looks fantastic, it’s packed with remote control functionality all of which can be controlled remotely via bluetooth thanks to a third-party SBrick. The drive and steering are driven by Power Functions motors, as are the front and rear hitches and power-take-off. That PTO sends drive to the Claas Quadrant baler, powering a variety of complicated-looking mechanisms which ultimately culminates in the machine excreting a block of tan pieces (hay) in a manner similar to a horse doing its business. It’s a mighty clever build and one that you can recreate for yourself as Eric has made instructions available too! No, not your Mom’s Tinder pictures, but this rather neat Volvo L120H front loader from newcomer Kio Liex. Similar in look to LEGO’s own excellent 42030 Volvo L350F Technic set (which became even more excellent when we fitted it with an SBrick bluetooth brick) but a bit smaller (just like the real L120H), Kio’s model is packed with Power functions goodies. An XL Motor delivers the drive (also turning a 6-cylinder piston engine), whilst a Medium Motor powers the articulated steering and another the bucket tilt. Lastly a Large Motor raises and lowers the bucket arm with enough power to raise the whole model off the ground. There’s much more of Kio’s remote controlled Volvo L120H front loader to see at the Eurobricks forum here, where a link to videos can also be found in the discussion thread. Click the link above to check out the complete gallery of images and join the discussion. America has mixed form when it comes to supercars. The excellent Ford GT is at one end, the Corvette is in the middle, being now pretty good but mostly fairly hopeless, and the Dodge Viper… yeh, that’s still crap. But that doesn’t mean we wouldn’t want a go in one. Especially this variant, the mad ACR edition. With the Viper’s V10 engine tweaked to 645bhp, carbon ceramic brakes, and a seriously extreme aero package the ACR was… well, still nowhere near as good as anything from Europe or Japan. That didn’t stop it heading to the Nurburgring with aim of claiming the road legal lap record though. Three attempts ended with a wrecked ACR and no record, but it was the fastest road-legal-American-rear-drive-manual-transmission-car to lap the Nurburgring. Possibly because it was the only one to do it. No matter, because this fully remote controlled Technic Dodge Viper ACR designed by previous bloggee Lachlan Cameron (aka Lox Lego) and photographed by Jeff McClain is every bit as good as the real car isn’t. Alongside the remote control drive and steering are working suspension, LED lights, a V10 engine underneath a flipping clamshell hood, and opening doors and tailgate. *Today’s title song. Don’t pretend you don’t like it. Some of our least favourite cars are SUVs. The Hummer. The Cadillac Escalade. The Chevrolet Suburban. And, despite its depth of engineering and wonderfully utilitarian roots, the latest Mercedes-Benz G-Wagon can probably be added to the list, seeing as these days it seems to be driven entirely by insufferable douchebags. There is a shining exception though, a leafy oasis in a brash and ostentatious desert that seems to be expanding every year. The utterly wonderful Suzuki Jimny. Recently updated for the first time in almost twenty years the new Jimny is an excellent looking thing, far more charming than its predecessor anyway, yet just as brilliant off-road. A 1.5 litre engine drives all four wheels via locking differentials and tiny overhangs make the humble Suzuki a veritable mountain goat when the going gets rough. This excellent Technic homage to probably our favourite recent off-roader comes from damianple of Brickshelf, and it’s every bit as marvellous as the real thing. With remote control all-wheel-drive and steering, suspension on all wheels, LED lights, and opening doors and hood we think it would make a most excellent official Technic set. Take a look via the link above and see if you agree, where damianple’s Suzuki Jimny Brickshelf album includes photos on-location off-road plus some neat chassis imagery too. Ken Block might be a less-than-successful racing driver, but he makes one hell of YouTube video. DC Shoes owner Block’s ‘Gymkhana’ series has become an internet phenomenon, with views in the hundreds of millions and major corporate backing from the likes of Monster Energy and Ford. The seventh film in the ‘Gymkhana’ series took the formula to the sheets of Los Angeles, and with it brought a new car into the Gymkhana garage; very probably the wildest first generation Ford Mustang ever built. With twin-turbos, almost 900bhp, and all-wheel-drive, Block’s ‘Hoonicorn’ Mustang is a very different proposition to the lovely but (let’s be honest here), rather comfy cruiser that was the original. The results are as spectacular as you would expect, and have inspired previous bloggee Lachlan Cameron to build his very own Gymkhana 7 ‘Hoonicorn’ Mustang in Lego Technic form. With accurate decals, wide arches, and wheels from the official 42083 Bugatti Chiron set, Lachlan’s Mustang certainly looks the part, and with a full remote control Technic ‘Supercar’ chassis, including all-wheel-drive, all-wheel-independent suspension, and a beautifully chromed V8 engine (complete with two turbos), it goes the part too. There’s much more to see of Lachlan’s incredible creation at his Ford Mustang Hoonigan album by clicking here, and you can watch the real car tearing up the streets of Los Angeles in ‘Gymkhana 7’ by clicking this link, which will absolutely be the coolest thing you’ll watch all day! 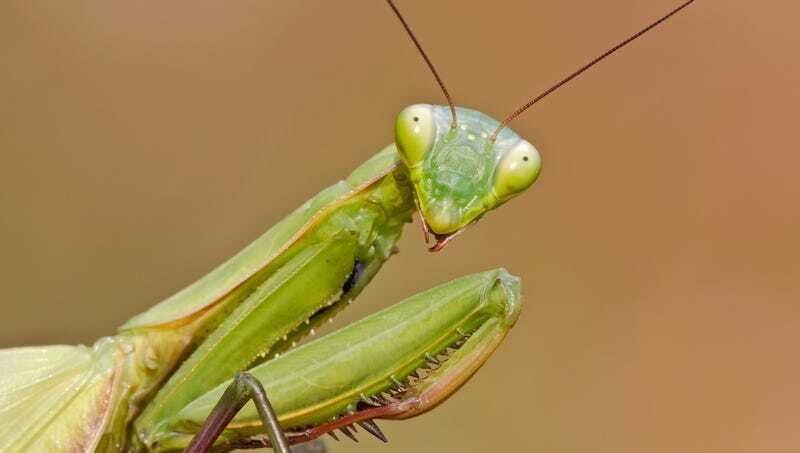 The mantis is surely one of Nature’s weirdest creations. Only not terrifying because they’re pretty small, if you saw a picture of one with no concept of scale you’d undoubtedly flee to the hills convinced mankind was about to be enslaved by a superior alien race. 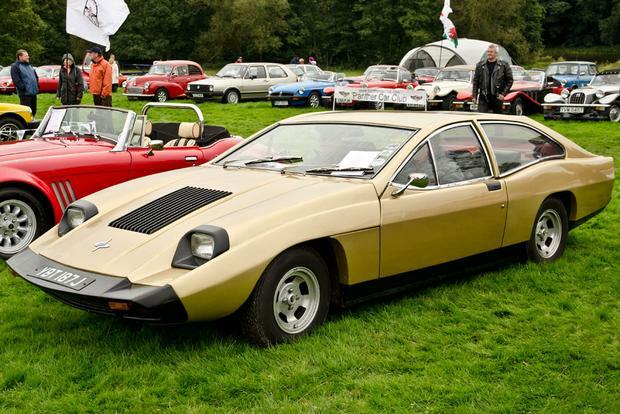 Car makers love naming their vehicles after odd animals though, and the mantis is no exception, being used on Marcos’s early-’70s sports car that looked every bit as horrific as the insect which gave its name. 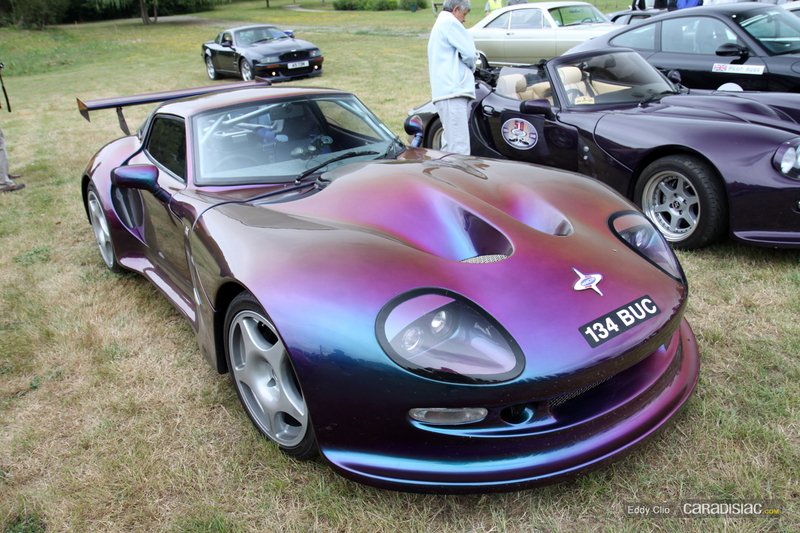 Fortunately their mid-’90s sequel was – if still not brilliant – far more palatable, but neither were as good to look at as this concept supercar from Flickr’s R. Skittle. Suggested to us by a reader, Skittle’s ‘Koncept Mantis’ is an interesting looking thing, with a full remote control drivetrain hidden under the unusual bodywork. A pair of Power Functions motors drive the rear wheels whilst another controls the steering, there’s clever pushrod suspension, and an even cleverer automatically deploying airbrake that raises when the car ‘brakes’. There’s much more to see of R. Skittle’s ‘Mantis’ Technic supercar on Flickr – click here to see the complete gallery and a video of the car in action. It’s been a while since the last act of outrageous Elven violence here at TLCB Towers, but fear not readers, the little scumbags were back in business today. This is Desert752 aka Kirill Mazurov’s ‘Grinder’* tank from the classic video game Red Alert 3, and it’s nuts. Controlled via bluetooth thanks to no less than three SBricks, Kirill’s Grinder* features ten Power Functions motors, six alone just for drive. A seventh powers the articulated chassis steering, the eighth the boom lift, and a ninth the huge rotating cutter on the end of it. But what about the tenth you say? Well the lucky Elf that discovered this remote control monstrosity kept that one secret for a bit. Driving it through the halls of TLCB Towers, Kirill’s Grinder* was frustratingly slow, certainly much too lethargic for the Elf in question to mow down any of its brethren. The other Elves in the office quickly got cocky, taunting the Elf at the controls by standing in front of the approaching tank with its whirling cutter, before jumping out of the way at the last second to much cackling and – we suspect – Elven profanity. But that tenth motor had yet to be used, and after lulling its colleagues the Elf in control deployed motor No.10. With the secret high-gear engaged the Grinder’s* speed instantly trebled, and the taunters simply couldn’t get out of the way quickly enough. Fed under the wheels by the cutter, then squashed by the Grinder’s* huge tyres, before being rolled flat by the tracks that followed thereafter, there has probably never been a worse machine to be run over by than this. We were quite impressed by the Elf at the controls’ subterfuge too, and it’s now enjoying a blue Smartie whilst we have a go with the Grinder* ourselves. There’s more to see of Kirill’s remote control behemoth at the Eurobricks discussion forum, the complete Red Alert Grinder* gallery can be viewed on Flickr, and you can watch the machine in action via the video below. Since the Technic Car Chassis set back in 1980, LEGO have brought increasingly realistic ‘supercar’ sets to market, from the all-wheel-drive and directly-named 8880 ‘Supercar’ of ’94 and the beautifully styled 8448 ‘Super Street Sensation’ of ’99, to the latest Porsche and Bugatti partnership sets which include everything from W16 engines to working paddle-shift gearboxes. The Lego Community has also got in on the action, building Technic Supercars that rival (and even eclipse) the official sets. To qualify for ‘supercar’ status a model must include a functioning drivetrain (engine, gearbox and driven wheels), working suspension, and functioning steering. These days with the prevalence of Power Functions remote control components the lines have become a bit blurred, but we’re willing to overlook a few missing functions in today’s post because a) it does indeed replace a piston engine and gearbox with a suite of electric motors, and b) it’s all been squeezed into a model considerably smaller than we’re used to from Technic Supercars. Designed by previous bloggee Kevin Moo, this Porsche-esque ‘supercar’ is powered by twin L Motors, with a Servo providing steering. All-wheel-suspension is taken care of independently up front and via a clever Watts multi-link system at the rear. Opening doors and hood also feature, and there’s a whole lot more to see on Flickr, where Kevin’s album also contains renders of the drive and suspension systems, and on Eurobricks, where a video of the model is also available to view. Take a look via the links.